← How do I decide who to work with? How do I add footnotes to a Word document? Academic and non-fiction writers use footnotes to refer to additional text which doesn’t fit into the flow of your paragraph but does need to be included. It might be used to provide a reference for a quotation or statement you’ve made, or might contain a digression or discussion of something you’ve just written about. It might also contain a translation of a non-native quotation you’ve placed in the text, or the non-native original quotation whose translation you’ve just given. What do footnotes look like? Footnotes can take two forms. Either there’s a raised number after the bit of text that they refer to, like this,1 or a symbol like an asterisk or paragraph mark is used (pleasingly, there is an order for these: *, †, ‡, §, ‖, ¶ ). In timetables and other tables, superscript (up high) letters and other symbols may be used. 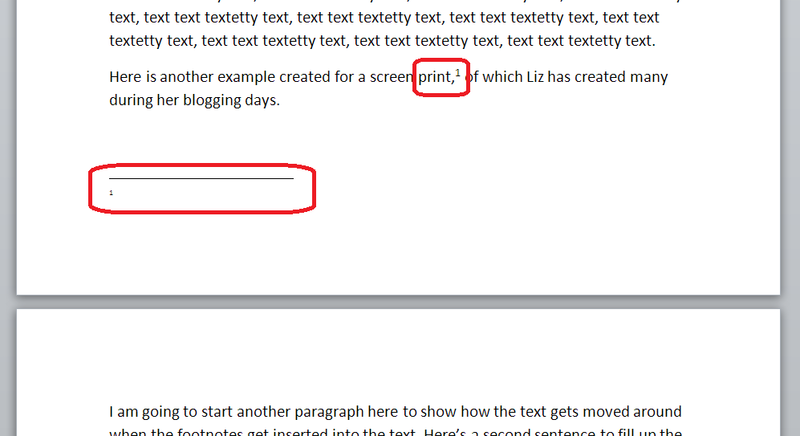 How do I create a footnote in Word 2007 and Word 2010? Note that this has automatically pushed down the next paragraph onto the next page of the document. This is one of the reasons why you should automate this process and not do it manually. 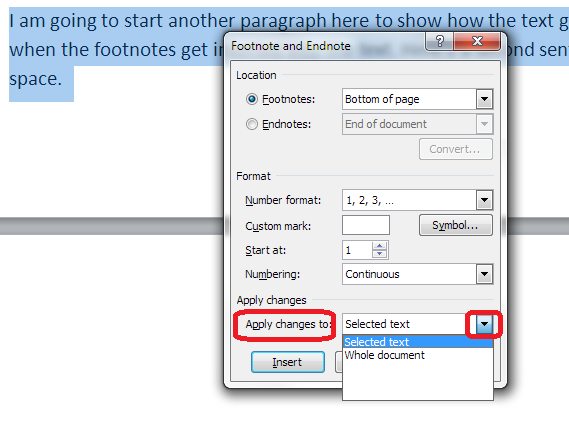 You can type text into your footnote field – you can also change the paragraph style, font, size etc. as you would a normal bit of text; however, the way it defaults, with notes smaller than the main text, is the standard way to do it, so try not to mess around with it too much. 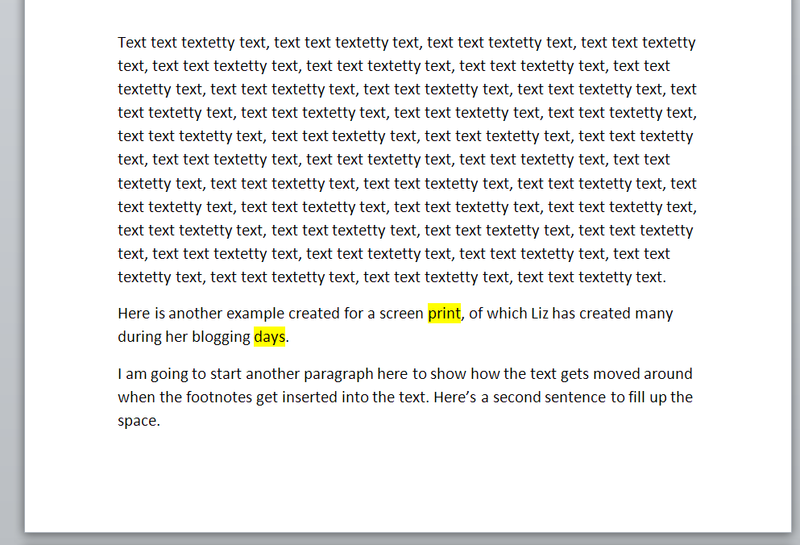 If a footnote gets particularly long, Word will automatically shift the text and footnotes around so that they are on the same page and fit in correctly. How do I delete a footnote? Another benefit of using the automated footnote system is that you can delete and move footnotes and the numbering will adjust itself to stay correct. How NOT to delete a footnote: Don’t highlight the footnote itself and delete it. This will have no effect on the numbering. and the number will disappear from after “print,”, plus the one after “days.” will change to a 1 and footnote 1 will disappear, to be replaced by footnote 2, which has now become footnote 1. Magic! What are the footnote options? including those famous symbols (and you can also add your own symbol if you really have to). Select and hit Apply. 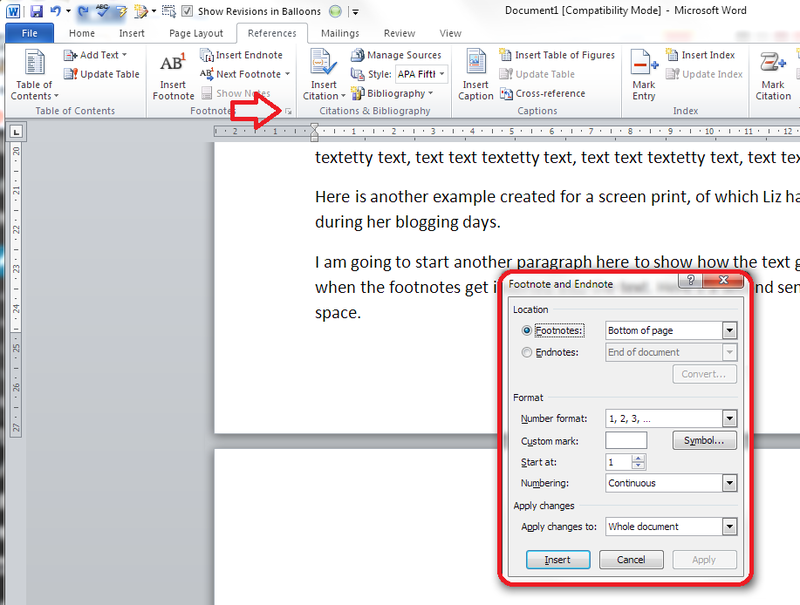 In Word 2003, you add footnotes using the Insert – Reference menus. The footnote options are then the same as above. So, don’t do that, now you know the correct way to do it! In this article we’ve learnt what a footnote is, what they look like, why you might use them, how to insert and delete them and the options available. Some great notes on avid footnoters from the history of literature here. How do I add endnotes to a Word document? 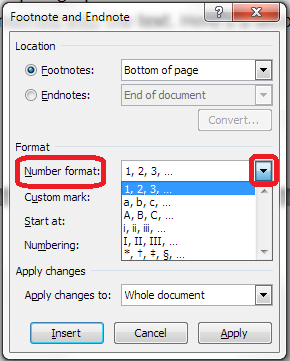 How do I change the format of my endnotes and footnotes? This will be especially useful for this year’s freshers. As a supervisor, I encouraged students to use footnotes from their first essay onwards on the basis that practice makes perfect… and footnoting should therefore be second nature to them by the time that they approach their dissertations. Thank you for your comment and yes, best to get in practice before the biggies. I love the fact that I know the order of the footnote symbols now! How do I combine several chapters in Word for Mac documents while keeping the original footnote format for each chapter? I’m sorry, as I stated in all my posts, these are aimed at Word for PC, as that’s what I use. I’m leaving your question up here in case any other Mac users are able to help. When I add a footnote, the system automatically adds it under the previous note, even though that note is on a different page!! How do I correct this? thank you for the information but i cant find a solution to mine. 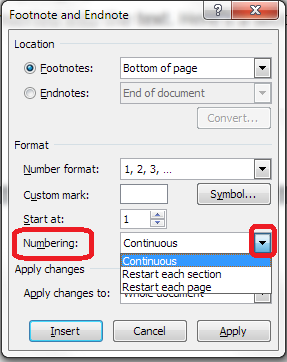 I am trying to add extra footnotes to a word doc but then form under a new line below the existing footnotes and comence with new numbering. Are you able to assist? Thank you for your question. I’ve never seen this done, so I don’t think Word will be able to do it. May I ask why you need to do this, in case there’s another solution you could use?